From Scandic Kajanus hotel, you can easily enter the water sports centre next door via an internal route. 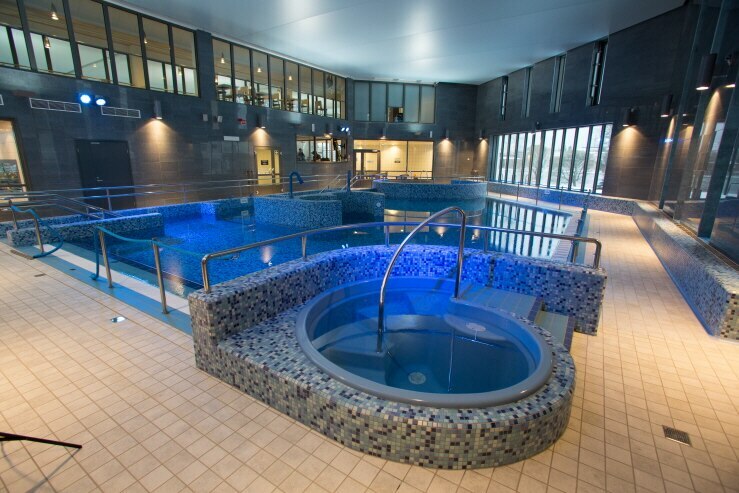 The water sports centre offers several swimming pools, a 50 meter slide, and gentle saunas. The Kaukavesi water sports centre is closed for maintenance from 17 July to 13 August. Please note that Scandic does not operate the water sports center, therefore use of the centre is not included in the hotel price. There’s plenty of variety to choose from in the pools at Kaukavesi: there’s cold and hot water as well as long and short pools. Regardless of how you move, accessibility and lifts let everyone enjoy the facilities. 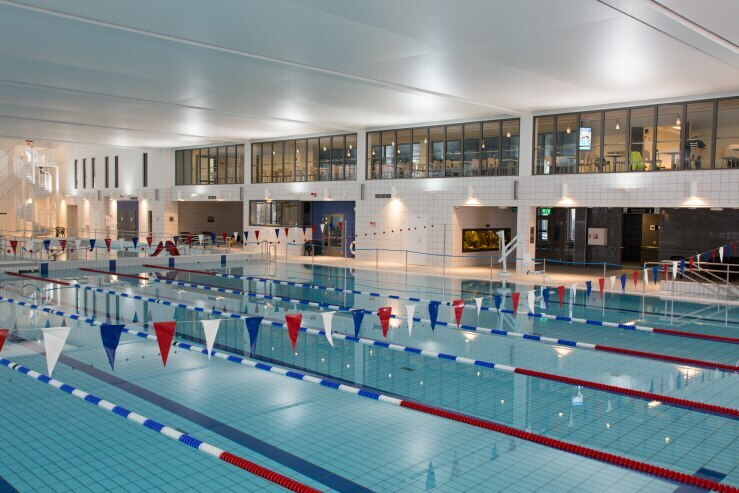 The main pool of the water sports centre is 50 m long and has 8 lanes in total. It's well suited for fitness swimming, water running and diverse water sports. At the deep end of the pool you can also use the diving boards at 1 and 3 meters as long as you’re careful. The 30 degrees Celsius water of the multipurpose pool invites you to relax. You can treat your neck and shoulders using the bubble and stream points of the pool. The multipurpose pool is 1.1 to 1.35 meters deep. The teaching pool offers a safe environment for getting to know the water and for practicing basic skills. The pool is about 20 meters long and its depth varies from 0.8 to 1 meters. The water temperature is 28 degrees Celsius. In the cold water pool you can feel your circulation improve and you soon learn to enjoy the great feeling it brings to your body. The cold water pool is 1.10 meters deep and the water temperature is 4 to 6 degrees Celsius. The hot water pool gives an opportunity for complete relaxation. The hot water pool is 0.5 meters deep and the water temperature is 37 degrees Celsius. The water sports centre has a pool of their own for the smallest swimmers with warm water, a fish themed water toy, and a small slide that invite splashing! The depth of the kiddie pool is 0.1 to 0.25 meters and the water temperature is 30 degrees Celsius. The 50 meter long slide slithers around the outside of the building. You slide one at a time and feet first. For safety reasons the age limit for the slide is 8 years and younger children must slide with an adult. Ticket prices and opening times may vary, so please check them from the webpages of the water sports centre. Are you interested in spa packages? Contact the hotel for more information!